Like driving a car or playing an instrument, the skill of managing money must be learned – and it’s never too late to start! Doing so usually pays immediate benefits. People might not earn more money if they budget well, but they will be able to use the money they do have wisely. It’s not how much you make, but what you do with what you've got. Proper money management does not involve a magic formula to find more money. It simply means getting the most from the money you do have. 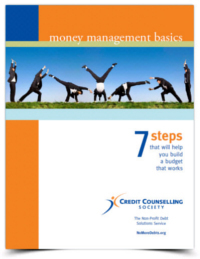 Before you read any further, take a quick look at your current money management skill level. Answer the following questions truthfully, based on what you do today. Ask yourself how much effort do you put in managing your own money? Do you keep track of what you spent in a day, week, or month? How many times do you regret spending so much money on something that will benefit you so little? You do not need to share your answers with anyone – they are merely to help you identify how you may want to improve your own money management skills. The foundation of sound money management is the budget. However, for many people, the word "budget" evokes feelings of fear or frustration. Your budget is your plan for your money. It is based on choices you make and priorities that you identify. 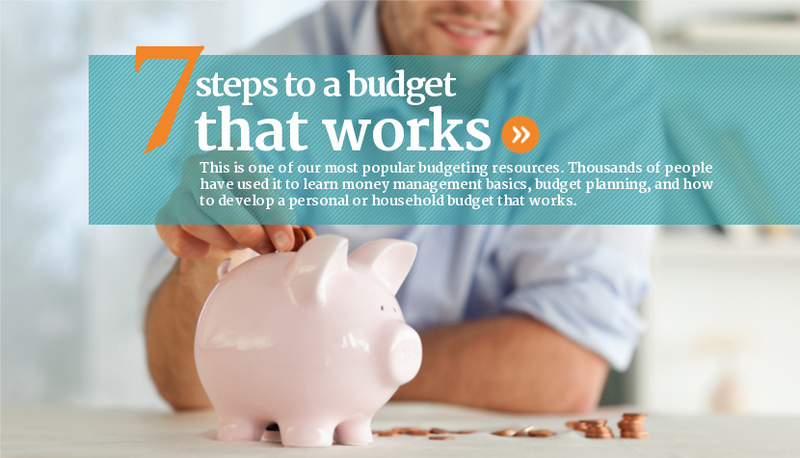 Building a spending plan, or budget, is a step–by–step process. Once complete, your budget is the solid foundation with which you can manage your current income and expenses and plan for future possibilities. The steps you are going through can also be viewed as a PDF download in a workbook titled, 7 Steps that Will Help You Build a Budget that Works (you can fill out this PDF and save your work). Click here for a print only version of the PDF. We offer 5 free, online budgeting workshops to help you learn to budget successfully. If you have income that fluctuates throughout the year, budgeting can be very difficult.